Find a vacation home to rent in Belluno from our list of vacation rental properties. Campaya has over 65 vacation homes available in Belluno, which give you the possibility to locate a unique accommodation in Belluno which completes your check-list in search for the perfect self catering vacation apartments in Belluno or vacation villas in Belluno. 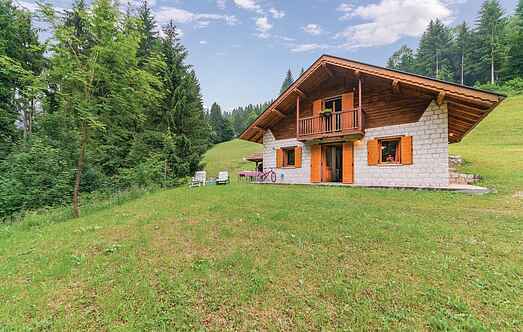 This holiday home in Soverzene is located in the beautiful surroundings of the Dolomites and is surrounded by trees and shrubs, offering guests peace and privacy. This spacious apartment is located on the 2nd floor of a beautiful 17th century villa, a few kilometers from Feltre (12 km), and is built on the ruins of an ancient castle. Nice holiday home in a hilly position, 4 km from Belluno, with splendid views of the Belluno Dolomites, Belluno and Valbelluna. This spacious apartment is located on the 1st floor of a beautiful 17th century villa, a few kilometers from Feltre (12 km), and is built on the ruins of an ancient castle. For your holidays we offer this beautiful mountain cottage in Lamon, with a splendid view of the mountains that mark the border between the Belluno Dolomites and the Trentino ones. Inserted in a postcard landscape, this chalet at 24 km from Feltre is dedicated to lovers of silence and unspoiled nature. This majestic mountain cottage with indoor pool is located near the picturesque village of Castellavazzo, in a wonderful position, surrounded by greenery and close to the Dolomites.